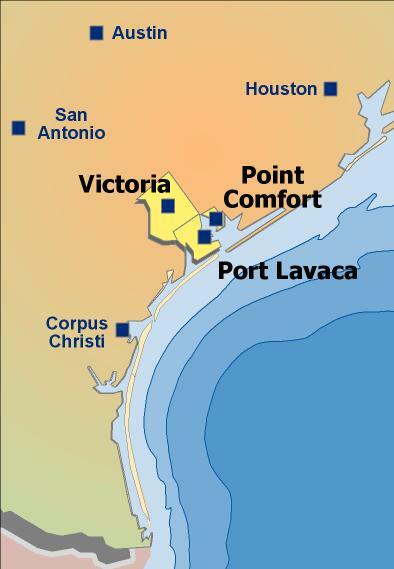 Foreign-Trade Zone No.155 is located in Calhoun and Victoria counties on the Texas Mid-Coast and is managed by Calhoun-Victoria Foreign-Trade Zone, Inc. The Calhoun-Victoria FTZ includes six general purpose sites strategically located to offer a variety of intermodal transportation connections and access features. Foreign-Trade Zones were created to help keep U.S. businesses competitive in the complex global marketplace. An FTZ can assist in neutralizing irrational U.S. tariff structures on products used by certain manufacturers operating in the United States. FTZs allow domestic activity involving foreign items to take place as if it were outside the customs territory of the United States for duty payment purposes, thus offsetting customs advantages available to overseas producers who export in competition with products made in the United States. The benefits of operating in a FTZ can be substantial if a business is well suited to work within the structure set up by the law. For a manufacturing operation these benefits are certainly worth investigating. If you are interested in obtaining more information about FTZs in Victoria and Calhoun Counties, please contact Charles Hausmann, Port Director, Calhoun Port Authority, at crh@calhounport.com or call 361-987-2813. We look forward to helping your company gain admission to Zone No. 155 so you can make the most of this program.